Patterns, a game Isambard Kingdom Brunel would find addictive. Im one of the people who signed up to the Genesis version of Patterns, the new venture from Linden Lab. Im not gonna review it, I’m not gonna blog about the things that stood out as being frustrating since it’s not properly released until next year so anything can change. Instead ill try and write this as a sneak peek preview of sorts. 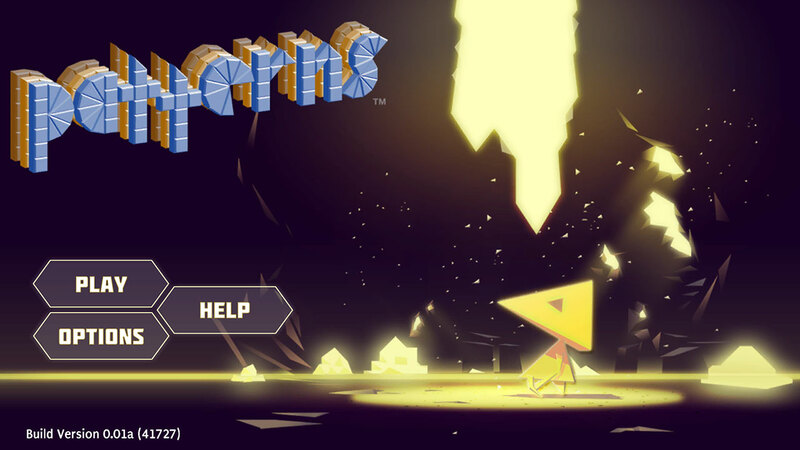 i really like this start image, looks like a lil cute pyramid head from Silent Hill. First as long time Second Life user, it was kinda kool seeing the Linden lab logo on something entirely new, and it appears HUGE as you first login to Patterns. The first thing that strikes you is the visual simplicity. Its kinda psychedelic, Primitive and back to basics. It reminds me of retro 32bit games of the 90’s when 3D was finally reaching consoles. In fact if i was to describe the look of Patterns to my friends id find no better example than Green Hill Zone from Sonic. 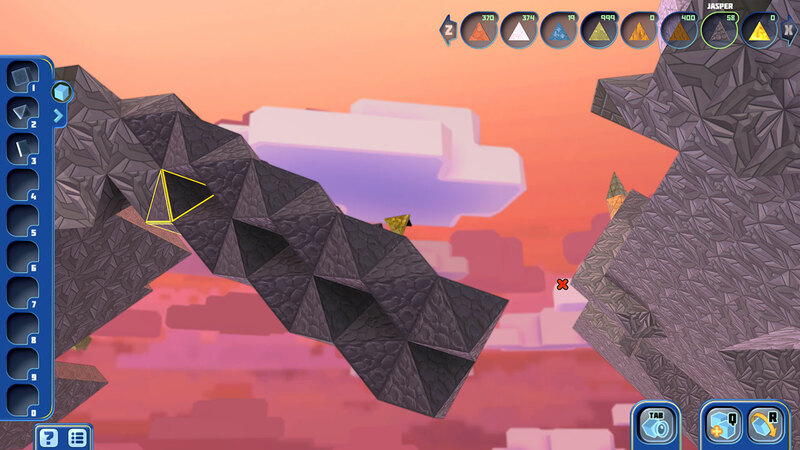 Patterns will be a game of exploring through thoughtful engineering. 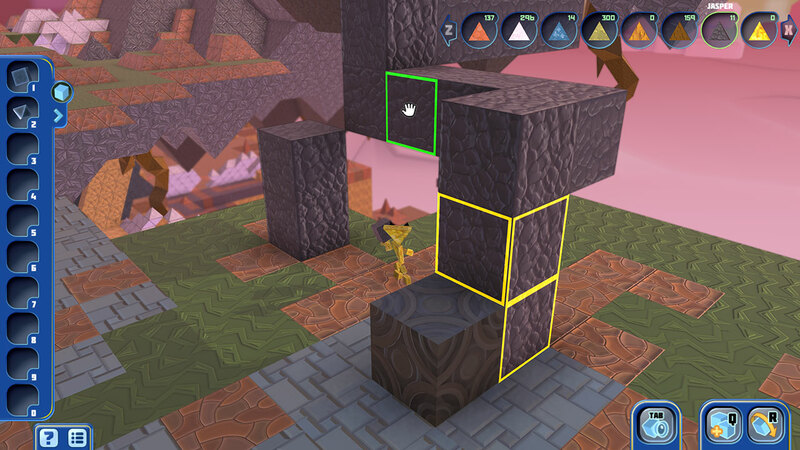 To continue exploring and collecting shapes you have to create in order to reach other platforms, but also consider the materials and how you place them. Gravity has actual effects here so if you build a bridge you better make sure it’s architectural design can withstand the effects of gravity otherwise it will collapse (with you on it as i learnt). This reminded me of being in science class where we had to build bridges from sticks and then test to see who’s design withstood the most weight. You end up spending more time building a bridge than you normally would in a game because you are having to consider it’s structure. The reward being that you built an awesome strong structure that allowed you to cross and continue looking for new stuff. The punishment being you fall to oblivion or get shattered into pieces and re-spawn back at the start. This pre release version is called Genesis and Im not sure how similar the final release will be to what I’m playing. More features could be added after feedback from us ‘Founders’ running amok. 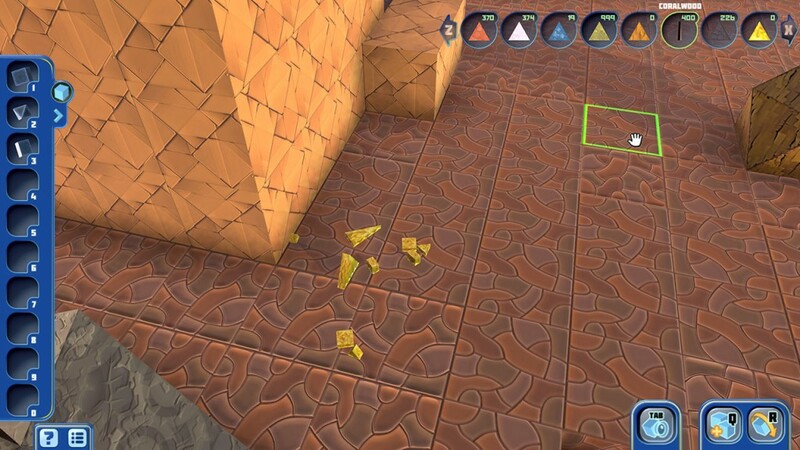 It could be that there is more features and options yet to unlock as i make my way through, so i better get to work finding all those shapes! Anyway ill leave you with a song about a famous engineer who if alive now would probably find Patterns rather addictive. 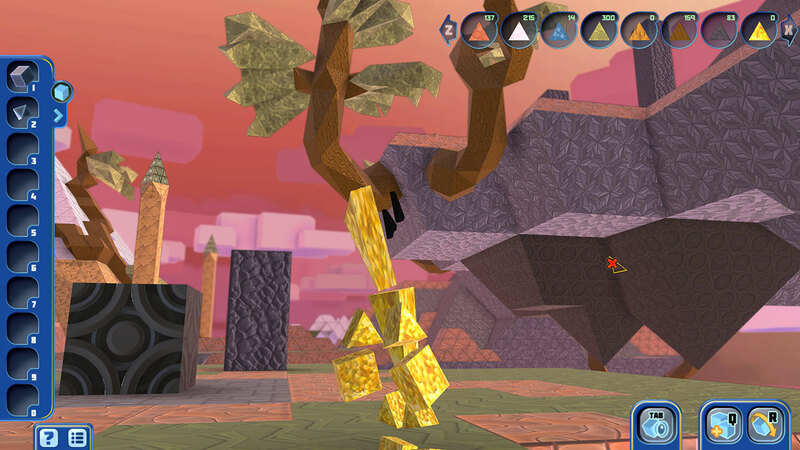 What would a mobile Second Life be?